The Louisville Golf Expo was a welcomed reprieve from white wintry dreariness of late January in Kentucky. 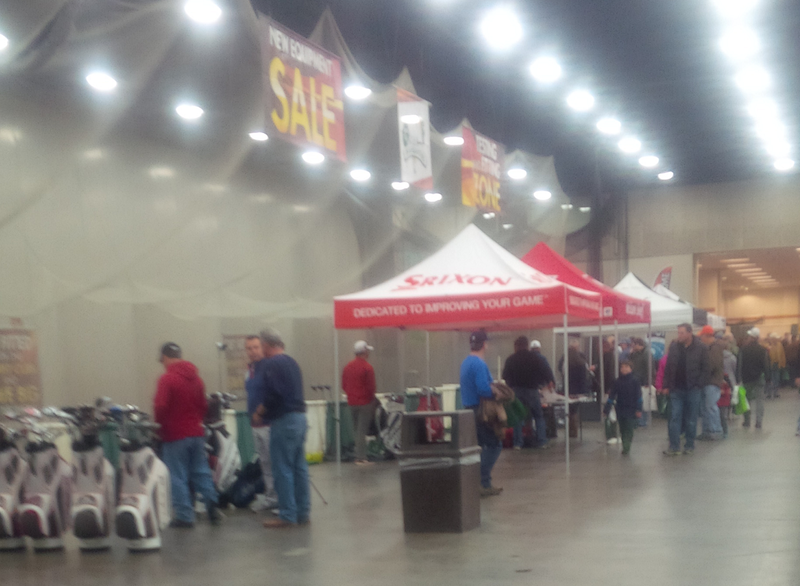 Last month, I attended my second consecutive Louisville Golf Expo. While this regional golf show is far cry from the glitz and glamour of the PGA Merchandise Show held annually in Orlando, Florida, this year’s improvement over last year’s experience indicates that the Expo will be around for a while. Sure, there aren’t any elaborate sets from which Morning Drive hosts is daily show, and there aren’t any roving reporters trying to get the scoop on the latest and greatest golf technologies from the Expo’s vendors. 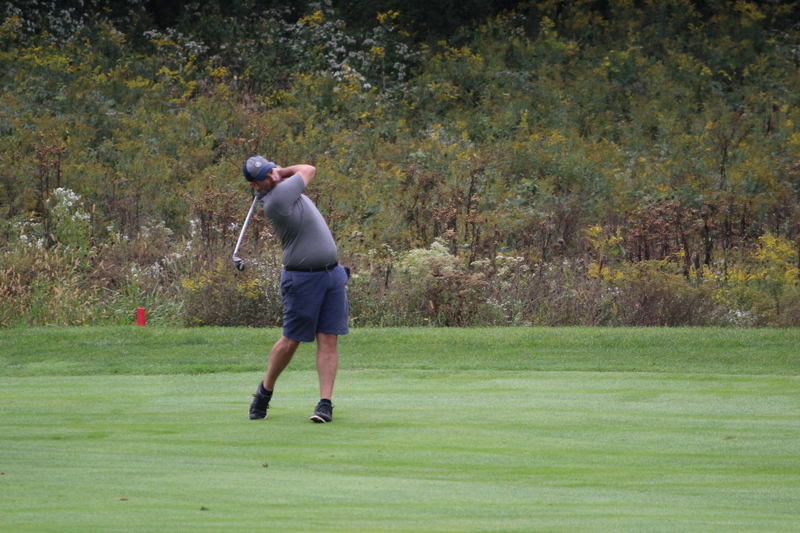 But what the Golf Expo, and its numerous manufacturers, golf courses, retailers, and vacation vendors, did offer was a reminder of the promise that the spring golf season was right around the corner. The opportunity to get fitted and test drive most of the major manufacturers’ new products was a big draw among the Expo’s exhibitors. 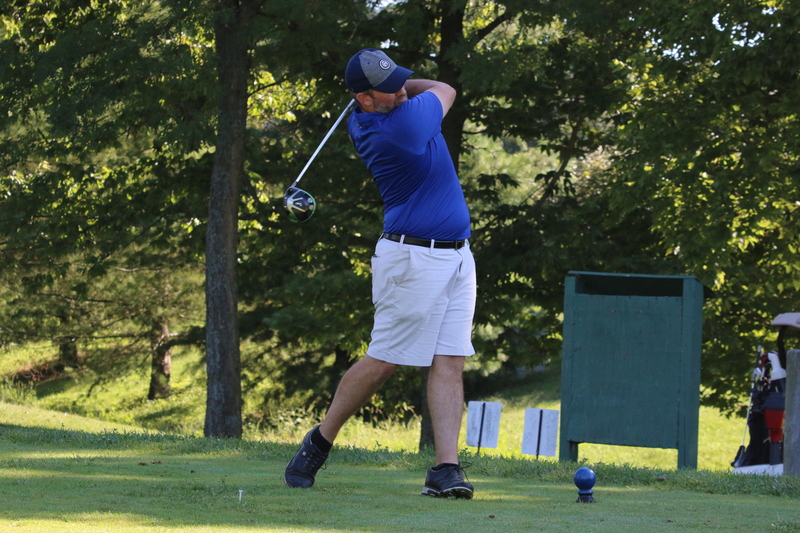 The Louisville Golf Expo is one of ten regional golf shows around the country put together by Varsity Golf Shows this winter, spanning from Hartford, Connecticut to Los Angeles. The 2016 version of the Expo was vastly improved over the prior year’s edition thanks to an improved location within the Kentucky Fair & Expo Center and higher quality vendors in attendance. The brightly lit, vast North Wing of the convention center lacked the drab decor, scent of stale popcorn and patina of spilled beer that the West Wing offered visitors last January. Thus, the positive impacts of simply moving the Expo a few hundred yards on the visitor experience cannot be overstated. The improved list of vendors, especially the major golf equipment manufacturers, was certainly a big draw in 2016. Last year, I only remember Bridgestone offering a full-sized hitting bay for fittings and testing their equipment. This year, an entire wall of the convention space was transformed into a line of hitting bays for Bridgestone, Titleist, Wilson, Srixon, and Callaway, among others. The Expo also included a handful of local golf equipment retailers that brought what I can only imagine were significant portions of their inventory for review and sale to attendees. The lines of visitors looking for deals were long, but thanks to a better layout this year, at least in constant motion. Rather than carnival barkers, the Expo’s main stage gave PGA professionals the opportunity for nice Q&A sessions with attendees. One of the noticeable differences this year was that most of the high-pressure vacation salespeople had been replaced with much more mild-mannered representatives of courses and golf destination cartels. For my money, this gave the Expo a more dignified feel and less of an aura of an indoor flea market. There was plenty of free swag to be had in exchange for simply your name, email address, and phone number from course and tour operators. 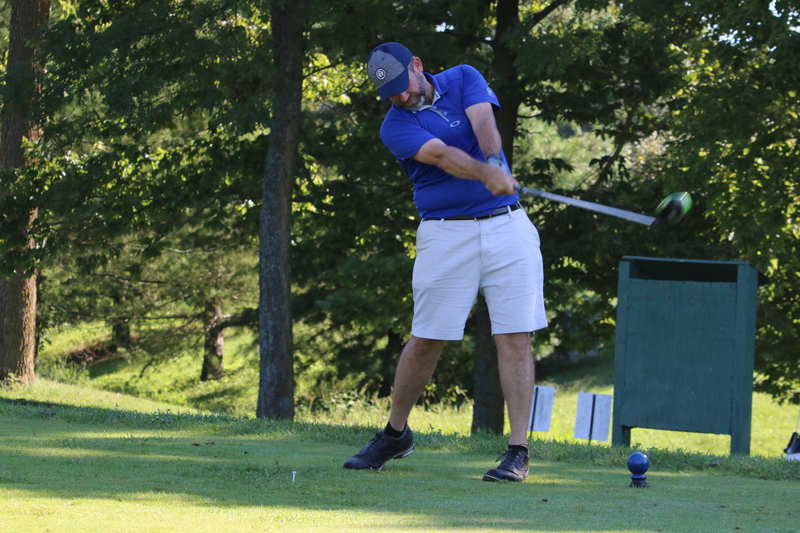 Among the goodies I kept from this year’s show were coupons to several Kentucky, Indiana and Tennessee golf courses, free subscriptions to Golf Digest and Links magazines, and coupons for free appetizers at a few local restaurants. 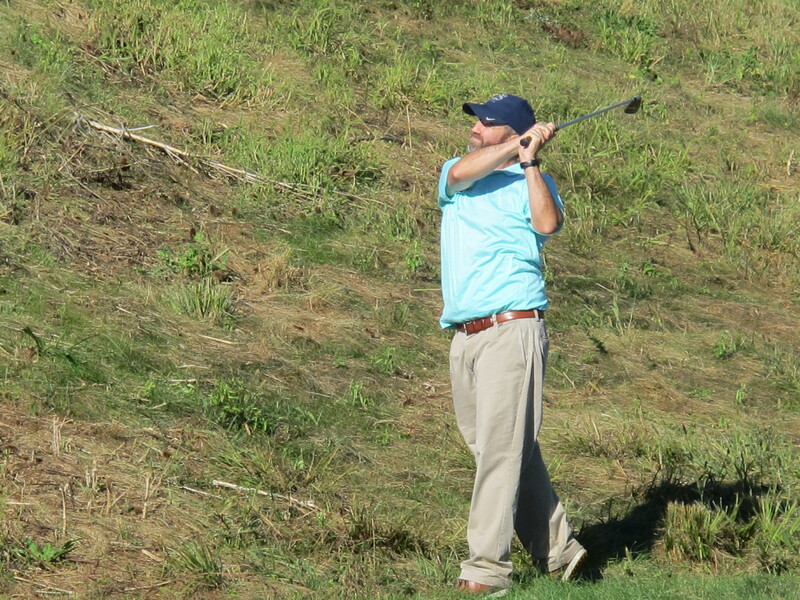 I was happy to humor a lot of the vendors to let them practice on their sales pitches, but the best conversations I had were with officials from the Golf House KY (the trade name for the Kentucky Golf Association) and the Kentucky State Parks system. 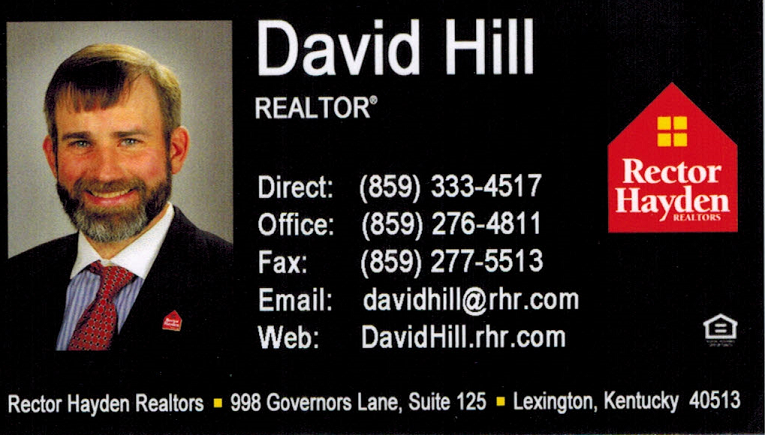 It was nice to put some faces to the names and get the latest word on what was going on in golf in Kentucky. One of the highlights of the Expo was that the Saturday I attended was “Kids Day.” I was positively giddy and encouraged to see so many children taking instruction and testing their swings at the Golf House’s junior sized hitting bay. 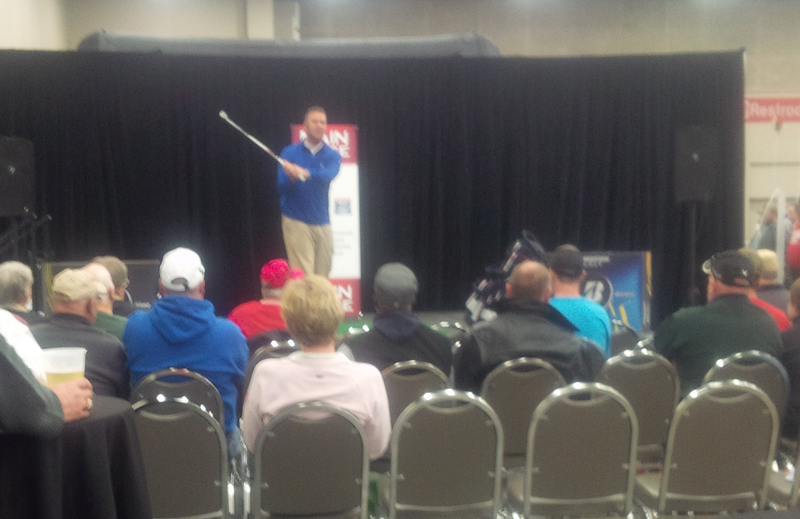 Finally, the Expo also featured a “Main Stage” area where crowds gathered to hear from PGA Professionals and the Re/Max Long Drive Champion on how to improve their games. Instead of a canned presentation, the Pro that I stopped an listened to for a while was doing a really instructive Q&A with the members of the crowd. 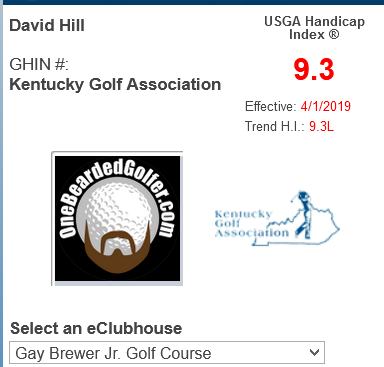 My friends at the Kentucky Golf Association are enablers of my continuing cheapness, and I’m damn grateful for it. In retrospect, there was nothing at the Expo that was Earth shattering or that will really change my game. But this year’s event was such an improvement over last year’s garage sale that it gets two thumbs up for a solid par. If you happen to live near where one of these Varsity shows is exhibiting, it’s well worth the small price of admission, if nothing else, just to get the juices going in earnest for the upcoming golf season. I would be remiss if I didn’t give a big “Thank You” to the folks at Golf House KY for sending me my complimentary tickets, which made the experience all the more enjoyable! Sounds like you had a good time. Hopefully, the golf show in Toronto this weekend will be as fun.